Who the heck were they? summer of 2003 and did a little investigating. few enduro bikes, but not much else. 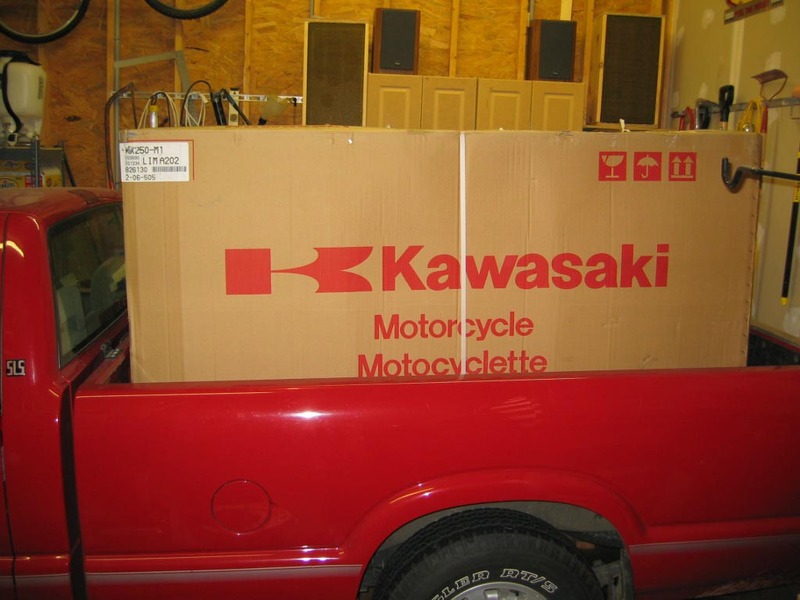 told Canadian import taxes on these vehicles are less than U.S.
the motocross bikes are no different than what’s sold in the U.S.
you the number of Brandie at the Goodfellow Racing office. lowdown on what you need to get your bike. 3. First things first…you gotta send them some money in U.S.
arranged home delivery for extra cost). 6. I took delivery of the bike, drove it home and put it together. imagine the reaction to the documents that came with my KX. visited a currency exchange in a town close to my parent’s farm. Why would I go to a currency exchange to get a vehicle title? she said she’d give it her best shot. Whatever she did, it worked.